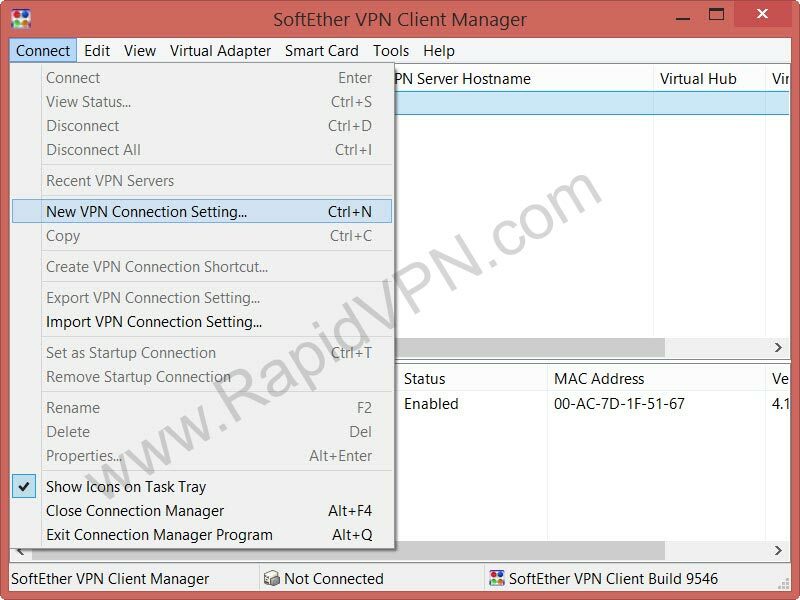 How to setup SoftEther VPN connection on Windows? 2Install the software. 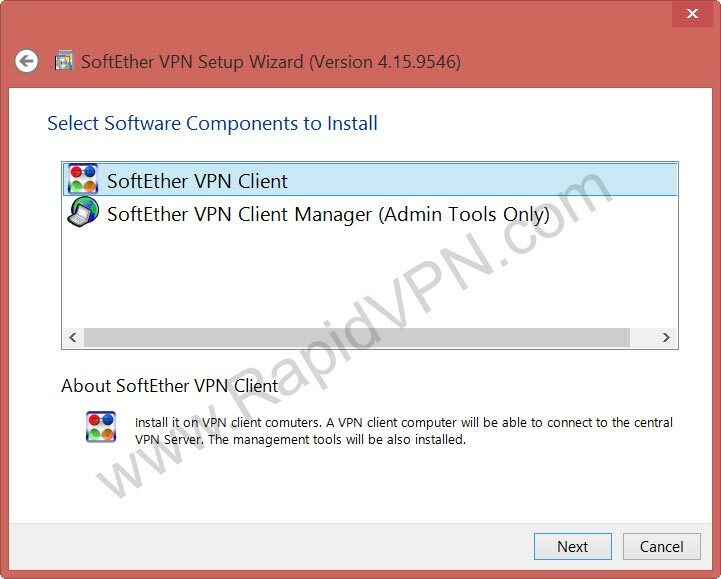 In the "SoftEther VPN Setup Wizard" select "SoftEther VPN Client" and click Next and continue installation. 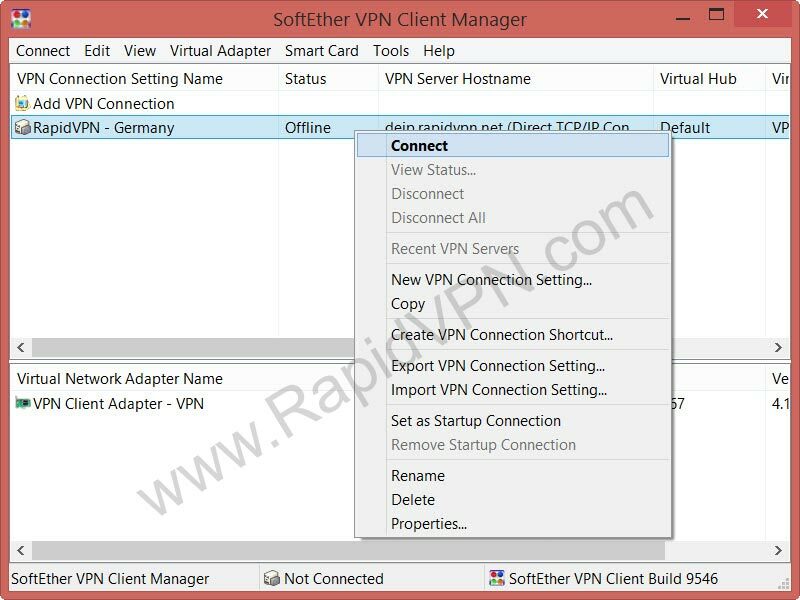 3When installation complete, run "SoftEther VPN Client Manager". In "Virtual Network Adapter Name" right click on the empty (white) space and click "New Virtual Network Adapter". 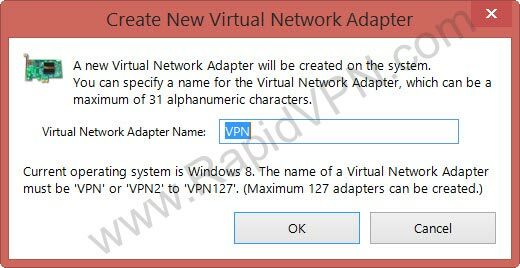 4In "New New Virtual Network Adapter" type a name, for example: VPN. 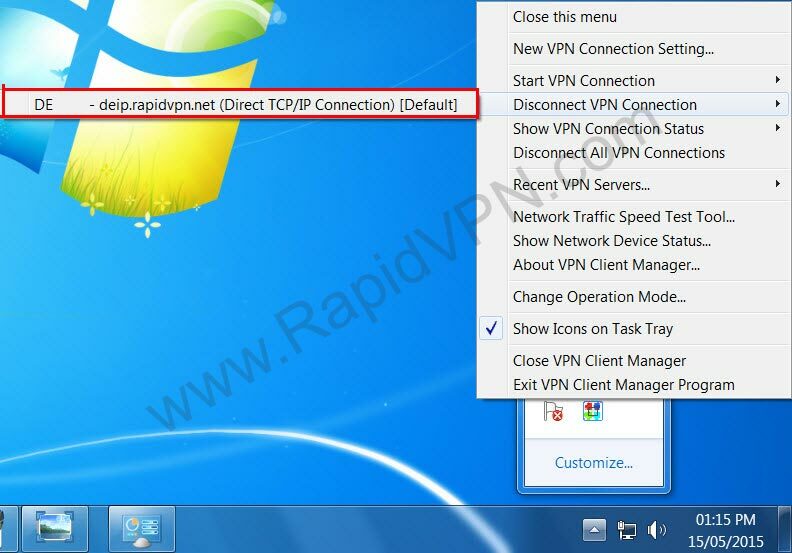 5Click on the "Connect" and select "New VPN Connection Setting..". Note: To see your Host Name/IP Address, please login here. After completion, click on "OK". 8Now your "SoftEther VPN Client" is created. Right click on your SoftEther VPN connection and select "Connect". 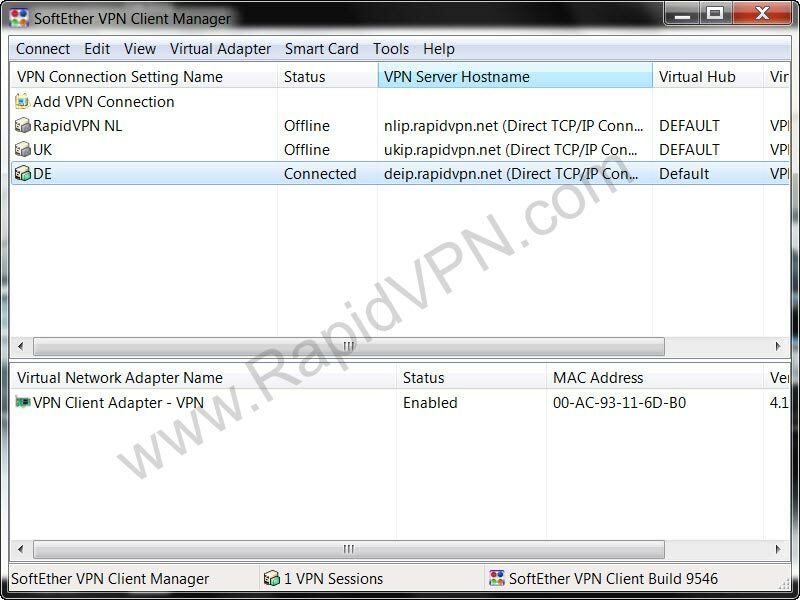 9To disconnect your SoftEther VPN connection, right click on the program (right-bottom, next to the windows clock) and select "Disconnect VPN Connection". 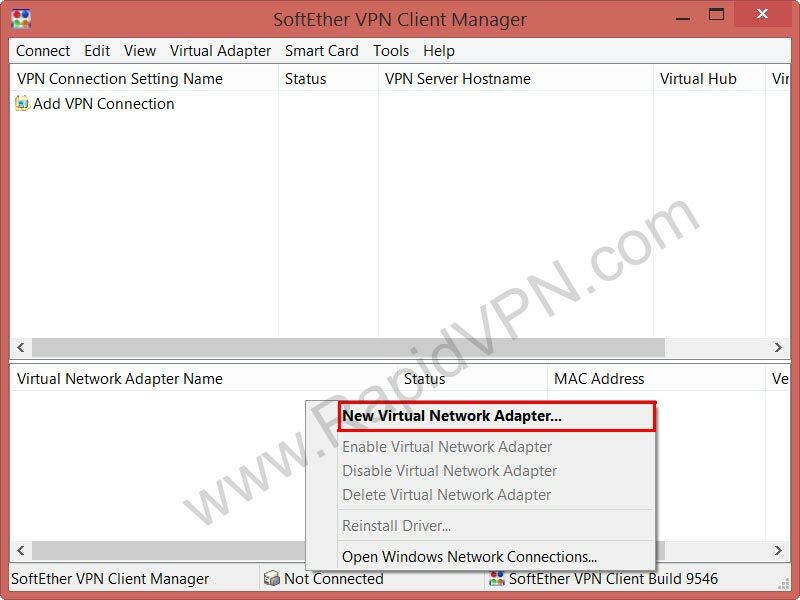 10Note: You can create several VPN connection with one SoftEther VPN Client.